Ingenta and PCG will be exhibiting at SSP 2019 Annual Meeting. 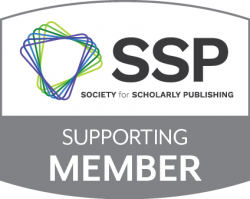 The Society for Scholarly Publishing (SSP) 41st annual event takes place on 29 – 31 May in San Diego, USA. This year’s meeting will focus on scholarly communication, new technologies, markets, day-to-day operations in editorial and production offices, Plan S and other policies. It is aimed at librarians, academics, publishers, service providers, technologists, and others with a stake in how research is shared as we tackle tomorrow’s challenges and broaden our horizons. In this session Consumer habits and our experience of media on demand will be discussed. A panel moderated by Heather Lantz, Content Sales Team Manager, PCG will explore the trend for niche publishing in the general consumer market and relate to small, independent publishers passionate about their subject as well as specialized scholarly publishers. The panel will address how smaller publishers can build and leverage their brand successfully. They will provide insights into how they use their strengths to build their brand and explore some of the challenges they’ve had to overcome. For scholarly publishers there inevitably comes a time when content must move to a different hosting platform. It’s a painful process and requires much planning and support. However, there are specific tasks platform providers and production teams can undertake to make the transition smoother. For one day only, this panel presentation brings together various platform experts to discuss strategies and tactics that may minimize some (but probably not all!) stress. This lively discussion will not promote one platform over the other, nor will it advertise platform benefits. Rather, it is an effort to tear down proprietary walls and present collectively to the scholarly publishing community effective methods that promote the dissemination of content. Ingenta will be one of the guest speakers for this. Ingenta and PCG will be on booth #105. If you are interested in any of our publishing platforms or any of our services, please drop by and speak to us. For more information about the event, visit the SSP 41st Annual Meeting to learn more.